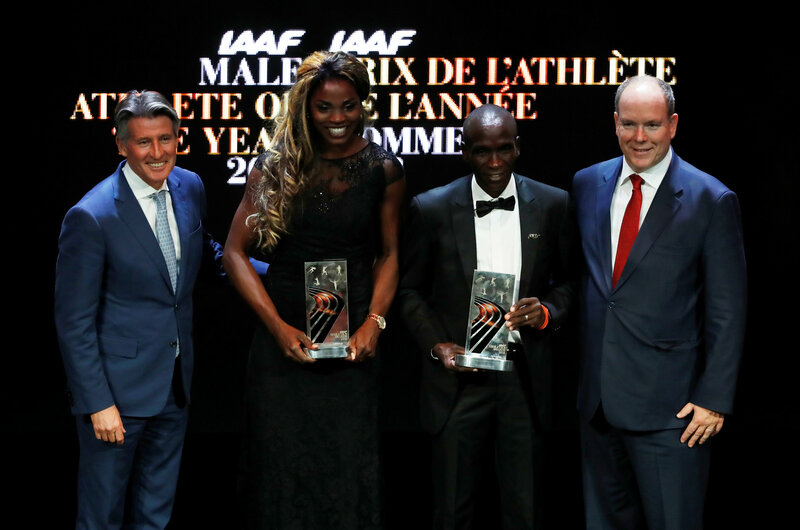 Olympic champion and world marathon record holder, Eliud Kipchoge, crowned his memorable 2018 season by becoming the second Kenyan to be crowned the IAAF Male Athlete of the Year. The world marathon record holder becomes the second Kenyan in history of the annual fete to win the top recognition in cementing his status as the greatest of all time following his jaw-dropping performance at the Berlin Marathon setting a new record of 2:01:39. The queen of parallel jumps, Catherine Ibaguen was named the IAAF Female Athlete of the Year.